Galvanized steel and anodized Aluminium construction suitable for outdoor use. 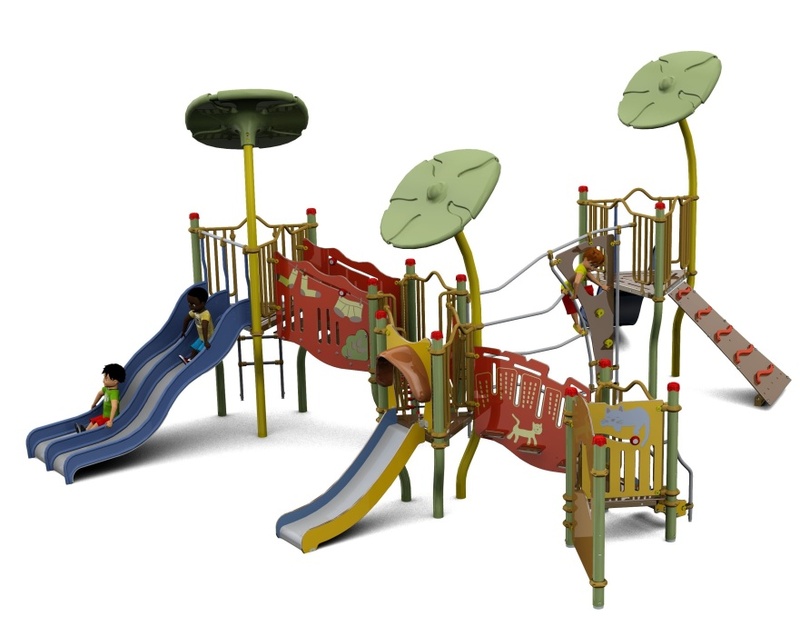 Large outdoor activity centre with 21 activities, designed for ages 2 - 5 years. 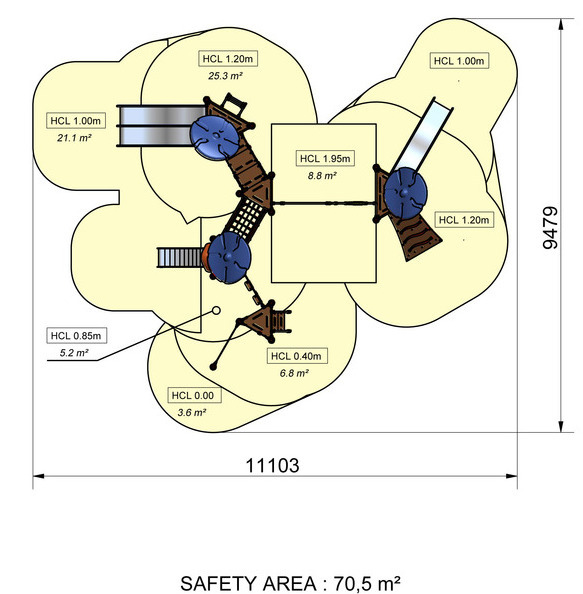 Slides, bridges and climbing frames and decorative flowers. 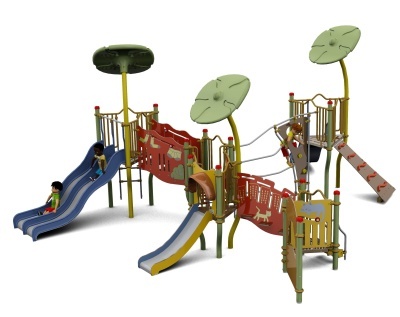 Quality construction for outdoor use and comes with a ten-year factory guarantee. A forklift is required to offload.